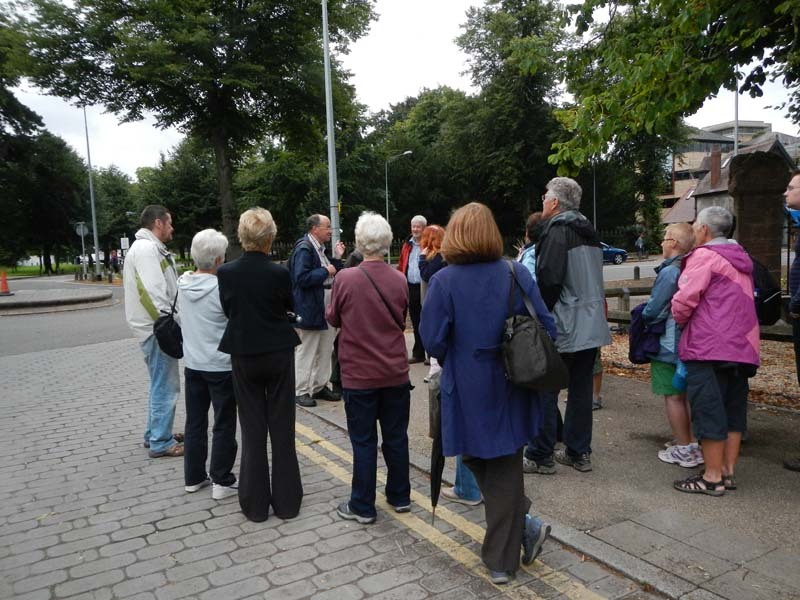 Dafydd Cadog, a very capable and entertaining speaker, led a large group of Friends and members of Cardiff Civic Society around Bute Park last evening. We assembled outside the Mochyn Du public house and resisting the temptation to pop in for a quick pint, started off at a fair pace. With our very first view of the River Taff we were told that the neat walls that bound its banks were built in 1979 after a great flood. Daffyd then gave us a brief talk about the City itself and showed us some old maps and told us that as far back as 1548 Cardiff had been a small market town but, being on a river, was destined to develop over time, as such fortunately situated settlements do. was rough pasture and areas such Old Man’s Wood and Cooper’s Field were not developed until the mid nineteenth century as they are not shown on earlier maps. The land was confined by the Bute family and used as their private grounds from 1850 but, because the citizens had been ‘robbed’ of this green space, Sofia Gardens was built as a form of compensation. The gardens were named after Sofia Rawdon-Hastings, second wife of John Crichton-Stuart, 2nd Marquess of Bute (1793-1848), hailed as the founder of modern Cardiff. 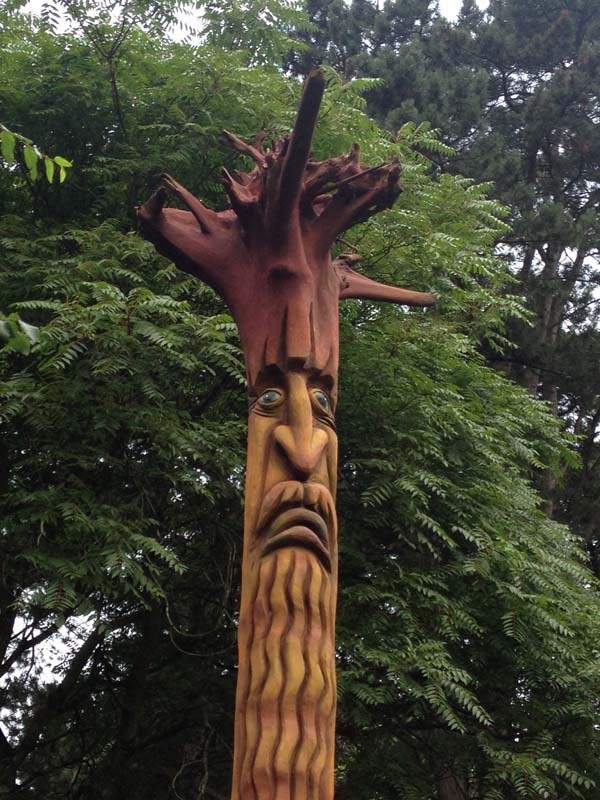 The park was handed back to the City and its inhabitants in 1947 by John Crichton-Stuart, 5th Marquess of Bute (1907-1956); and was named Bute Park in 1948. 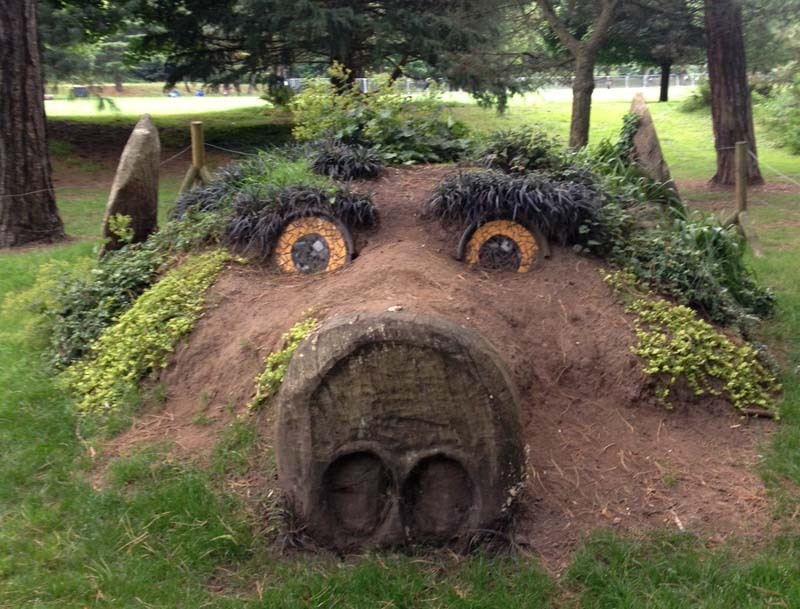 As we walked through the park, Dafydd talked about the old summerhouse and the various statues that are springing up including the pig/dragon’s head and what might depict a wild woman carved from an upended tree, although, with a full beard and moustache, most of us thought it looked more like a wild man! 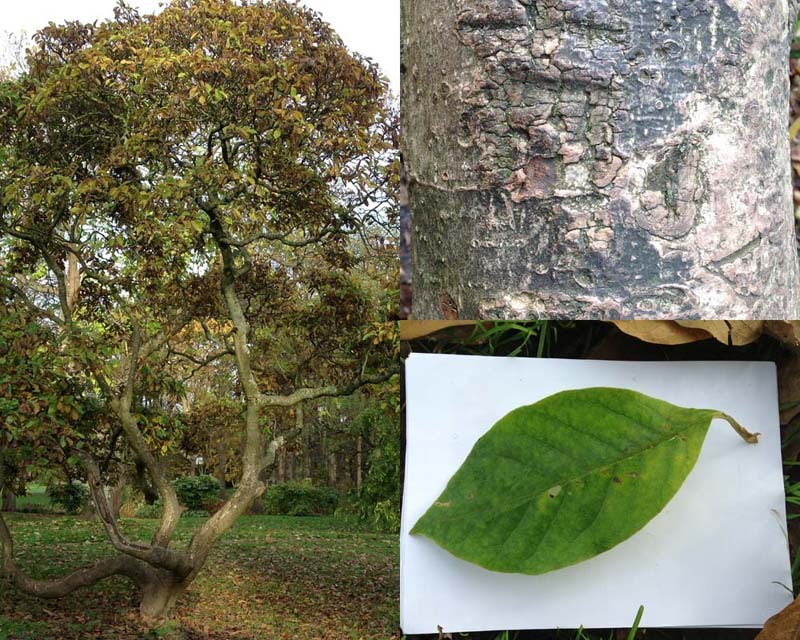 With contributions from the Friends we also learned some interesting facts about the champion trees in the Park and quite a few folk took photos of the superb Wingnut (Pterocarya fraxinifolia) by the red bridge. The walk concluded where it had started, at the Mochyn Du, but this time with no restrictions to entering and having a well earned drink! Thank you Dafydd.